His question was part of a conversation about why there aren’t that many POC equivalents to such iconic characters in YA and MG. There doesn’t seem to be a good enough excuse for there not to be more Latino characters in kid lit especially with the Latino population rapidly growing, so to say there isn’t a market for it is just undetermined fabrication. I, for one, identify as an Afro-Cubana who would gladly buy a book from a Latina author that featured a Latina protagonist in a heartbeat! But the truth is, I’m not sure I want a Mexican Katniss or a black Harry Potter or even an Asian Percy Jackson. A small part of me feels that if I say I do, I’d be telling the world that in order for a POC character to be great, we’d have to follow the “default” archetype. Everybody knows it: white, skinny, Christian, hetero, and because girls are so popular in YA, born female. Comparisons are wonderful, because, I mean, who doesn’t want to be compared to what’s considered a great character, but I think it’s more than fair to say that boys and girls of color have earned the chance to be the models of their own standards, and, unfortunately, the only ones who don’t think about how representation in kid lit is important are the ones who are swimming in characters dedicated to their own images. 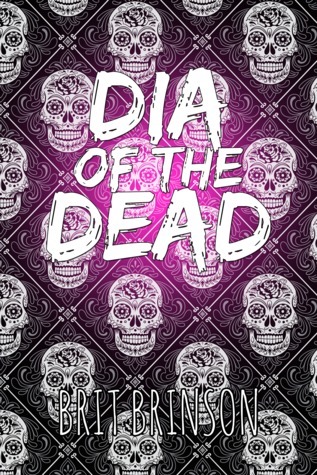 One YA book that stood out to me this year was Dia of the Dead by Brit Brinson. It had zombies, it had action, and it definitely had drama. But most importantly to me, it had something that’s always left out of the conversation about Latinos in fiction–an Afro-Latina protagonist named Dia. Her character was so amazingly memorable and struggled with the many things most Afro-Latinas go through in terms of identity that it was too hard to draw a comparison to another character in a similar situation who just happens to be a non-white Latina. All I could really give her credit for was being Dia, and isn’t that what we’re all really looking for in a character? I don’t think we need a Mexican Katniss, but instead a chance to be on a bookshelf next to Katniss in our own stories with our own myths and legends. And it wouldn’t hurt if she had an amazing name like Citlalli, or even Amaryllis. What I hope for her is to be a character that is a hero all on her own, clearing her own path and setting her own standard. A goal for everyone: “to be a character that is a hero all on her own, clearing her own path and setting her own standard”. Thanks for sharing about DIA of the Dead, sounds like something my students (middle school) and I would like. The answer to Matt de la Pena’s question is simple: (1) the authors who wrote The Hunger Games and Harry Potter are superb authors, and (2) with all the talk about the need for more Diverse Books it doesn’t apply in the real world of agents/editors/publishers. I respectfully submit that we do need a Mexican Katniss to make Mexican Heroines very popular with American teenagers. The best way to reach this goal is by publishers asking well know authors (like those who wrote the two mega-best sellers mentioned above) and ask them to write YA fiction with a Mexican boy of girl as the MC. These famous and skilled authors will deliver a Mexican Katniss.And also ask those in the publishing industry to put extra effort and time when a book like a Mexican Katniss reaches their desk, not just wait for it to arrive. Without help from the publishing industry and without famous authors writing Latino YA fiction, a Mexican Katniss will not be on shelves of book stores. Just my views. You make an interesting point. It’s definitely not wrong, but we need MORE than just non-latino white authors telling our stories. We need to be telling them too with the freedom to do so. Sadly, we end up with cultural appropriation, or worse, getting told non-latino white authors tell our stories better than we do.